We take ordinary, everyday objects and create new looks for them with decorative art techniques. We do this because we believe it's good for the soul to be surrounded by things that make you smile. A little delight goes a long way. You can also share in the creative process with us through our workshops. They're designed to be fun and relaxing for all, irrespective of artistic experience. "If you're alive, you're a creative person"
A fun activity that emphasises the joy of creating. Painting pots is a unique way to be expressive as an adult without needing to learn difficult painting techniques. 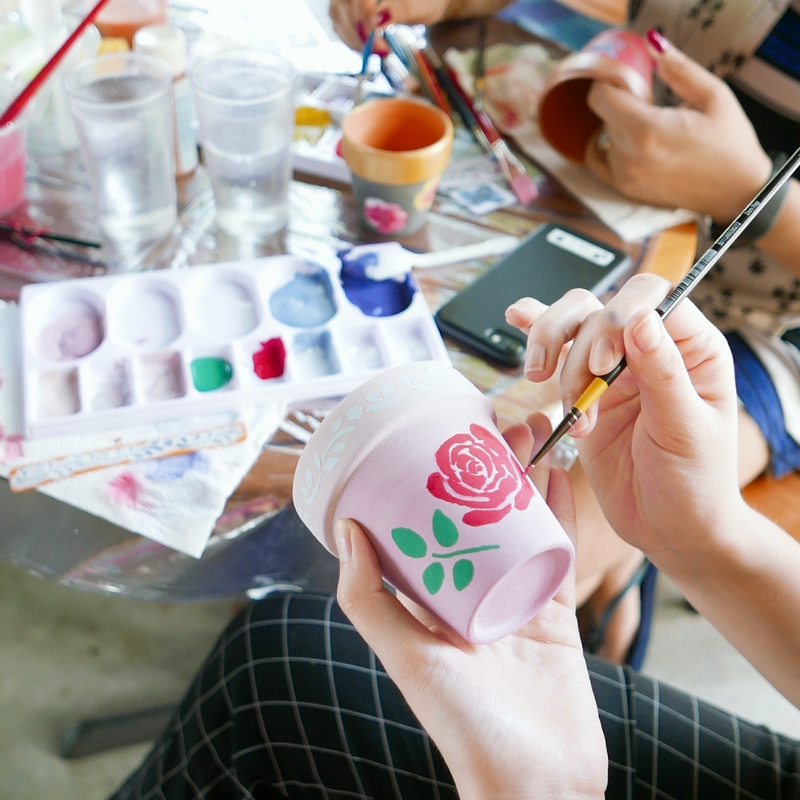 We guide you through simple crafting methods that you can apply to paint pots that are unique to you. 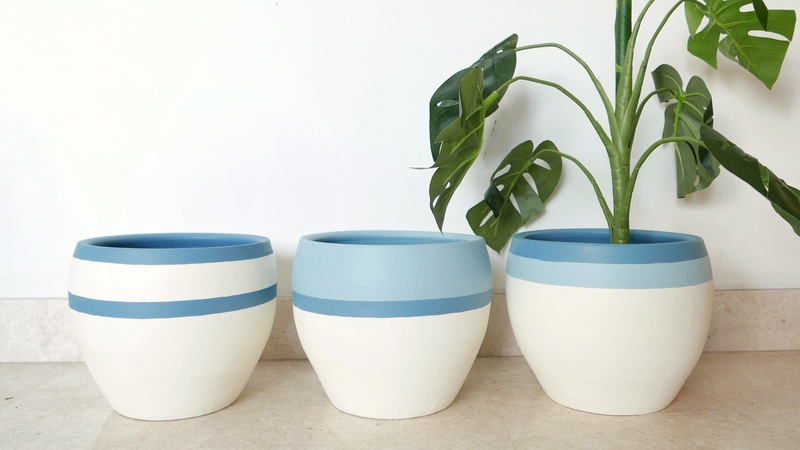 Express your personal style with our range of hand painted plant pots and vases. Choose from a host of designs and colours, or contact us to customise something that will suit your existing decor. Delivery across Singapore and the world. Shipping rates are calculated in your shopping basket before checkout. Each object is transformed by hand with care and attention. No two pieces will ever be exactly the same. Pay with peace of mind through PayPal, a secure payment gateway. Ask how you can have a private workshop for a small or large group, or book a spot in our public workshops. Speak to us about pot plant gifts for your events (door gifts for corporate events, gifts for wedding favours or baby showers). Special rates apply for bulk orders. We are open to collaborations. If you are a fellow creator, small business owner or simply someone with a good idea, we would love to hear from you. There’s nothing better than working together.